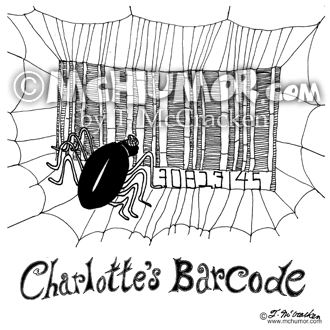 Spider Cartoon 5484: "Charlotte's Barcode." 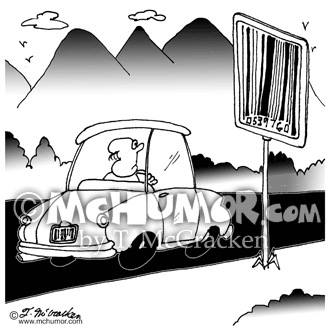 A spider spins a web in the shape of a barcode. 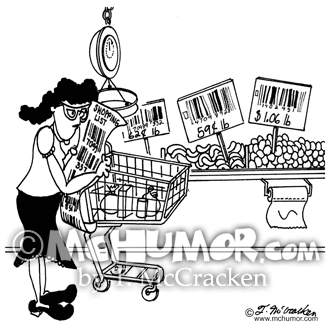 Grocery Cartoon 5899: A woman's shopping list is a bunch of barcodes & she stands in front of vegetables labeled with barcodes. 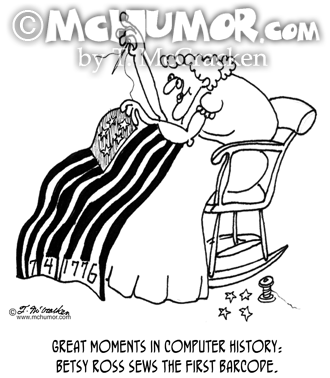 History Cartoon 5637: "Betsy Ross sews the first barcode." 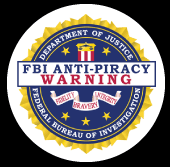 At the end of the flag's stripes are computer like numbers. 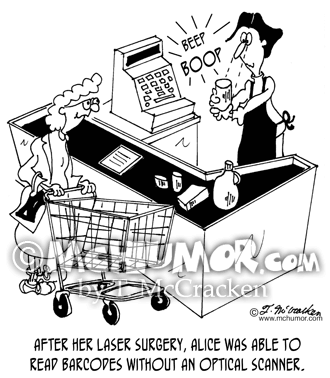 Bar Code Cartoon 7372: "After her laser surgery, Alice was able to read barcodes without an optical scanner." 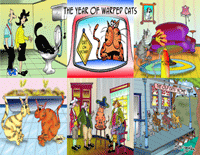 A cashier passes cans and boxes in front of her eyes. 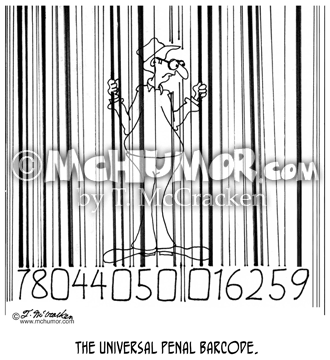 Artist Cartoon 1879: "Salvador Dali's Barcode." 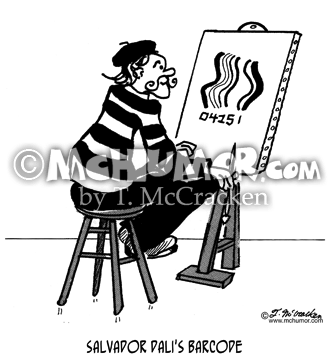 A painter sits in front of a canvas with squiggly lines. 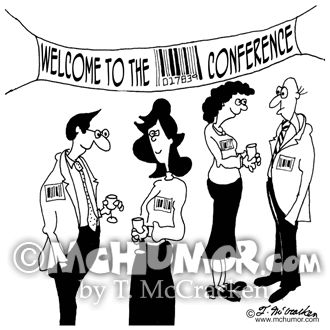 Conference Cartoon 6486: People at a conference all wear nametags that are barcodes. 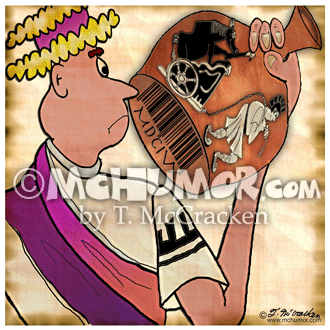 Roman Cartoon 8344: An ancient Roman looks at the bottom of a clay pot and sees a barcode. 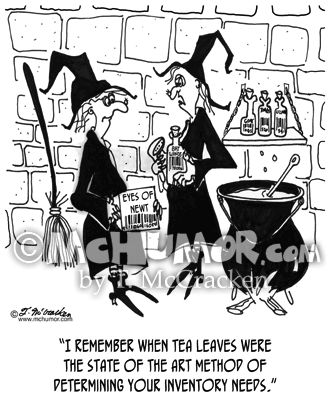 The design on the top of the pot is a horse standing in a chariot cracking a whip while a gladiator pulls it.